It’s that time of year again….Cardiff’s Open Air Theatre Festival! Now granted the last week’s weather hasn’t been exactly summery here (it is Wales after all) but never fear because once again the audience will be completly undercover. So now that you’ve cheered Wales on in the Euros out in the open (ouch, sorry about that sporting folks, or indeed rejoice! if you’re English) it’s time instead to take in some theatre in the air. First up is Sondheim’s dark musical fairytale Into the Woods playing from 23 June – 2 July. Directed by Richard Tunley with Musical Direction by Rob Thorne Jnr. audiences are transported to an alternative take on classic fairytales with Sondheim’s classic and beautiful score. Following the musical…you must…Listen very carefully for I shall say this only once. 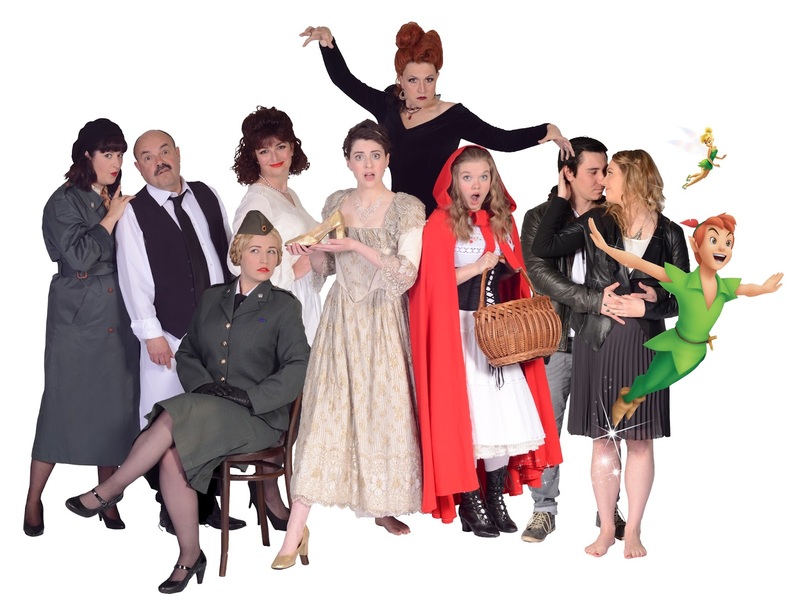 Excuse the bad joke, it is of course ‘Allo ‘Allo from 7 July – 16 July the Café René will welcome summertime audiences to the little French rural town of Nouvion. For those unfamilar with the classic sitcom Owner René Artois risks more than his life on a daily basis during wartime German occupation as he attempts to satisfy the demands of the German Army, the French Resistance, his wife and both his waitresses! And this being an outrageous farce of a comedy things rarely go to plan. The team that brought you last year’s hilarious staging of Blackadder, lead by director Simon H West turn their hand to a new but equally popular comedy this year. As many will know, this year has been a year of celebration for Shakespeare fans, with the 400th Anniversary meaning the Bard in all forms has been celebrated. What better way then to continue the celebrations than with his most famous love story Romeo and Juliet from 21 July – 30 July. Directed by Jack Paterson and Mark Modzelewski, this modern take on fair Verona brings to life through movement, song and story Shakespeare’s classic tale of “star-cross’d lovers. For younger audiences this year Disney’s Peter Pan flies into the festival from 23-30 July. performed by AndGo Theatre and choreographed and directed by Emma Jayne Parker. Based on the Disney film and J.M. Barrie’s enchanting play, Disney’s Peter Pan Jr. is a modern version of the timeless tale about a boy who wouldn’t grow up! The score includes new arrangements of classic Disney songs, such as “Following the Leader”, “You Can Fly”, “The Second Star to the Right” and “Yo Ho, A Pirate’s Life for Me”. And, as it all that weren’t enough, the festival also welcomes India Dance Wales who present two hypnotic shows on Sunday 10 July, Shishyaand Shakuntala, and Everyman Youth Theatre will present Richard II on Sunday 24 July. Cardiff Open Air theatre once again has a line up of superb shows to suit everyone! And with excellent onsite catering from Dusty Knuckle Pizza and the Otley sponsored bar (available from 6.30 every evening) it’s a great summer night out!